Seasonally silly and very creative! With so much going on with each letter, I was surprised at how easy it was to read, even at a distance. Bravo. @Pianoplayer21 Thank you!! @hevbee Thank you so much! THIS IS AWESOME!!! What do you use to make your fonts? I love this font!! Can I ask why you decided to make fonts in the first place? 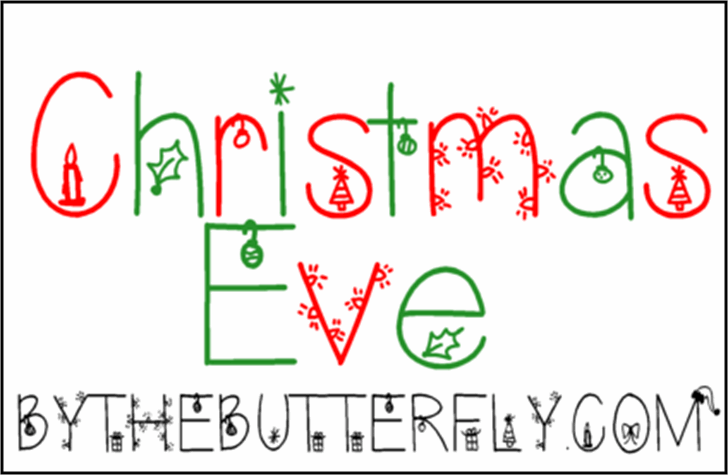 I love your Christmas fonts! Thanks so much for this font i LOVE it! really THANK YOU! Am I the only one commenting on the middle of the year?